From climate change and migration to inequality and democratic deficits, the political failures we witness today are inseparable from but not solely driven by failures of any party, policy or individual. The British government’s philosophy of austerity and Trumpism need to be taken on by progressive political movements for the devastating impacts they are having on individuals, communities, the economy and environment. But it’s important, as the proverb warns, that we don’t strain gnats and swallow camels. These failures are also the result of an inability of a system of national and global governance that is overly reliant on national political structures to lead a world whose characteristics and challenges have outgrown them. To some, laying bare the limitations of national and global politics built on the nation state will sound like a new idea. But it’s not. We have long sought to make up for the limitations of national governments through multilateral institutions, the UN, IMF, World Bank and agreements such as COP21. What is new is the positive argument being advanced today that rather than merely looking to up to these multilateral organisations, we look down and in to our cities and global networks of cities to compensate for the weaknesses of nation state politics. It’s the empowered city voice that is the missing ingredient. As the mayor of Bristol, I sit on the steering committee of the Global Parliament of Mayors. The GPM was founded by the late Dr Benjamin Barber, author of When Mayors Rule the World. It’s an idea whose time has come. In September I attended the New York Gathering of Mayors, from every continent including the heads of New York, Atlanta and Kampala along with the deputy mayors of London, Paris and Soa Paulo. We were joined by bodies such as the Open Society Foundation, UN, World Bank and 100 Resilient Cities network. The argument is not that we don’t need national governments of multilateral instructions. It’s simply that they are not enough. Britian’s core cities produced a green paper for Cities. Nine of the ten core cities are Labour-run. We are not in opposition, we are in power. In the face of government failings on the Brexit negotiations, we have secured our own meeting with Michel Barnier in an effort to safeguard the future of British cities. And in 2018 Bristol will host the Global Parliament of Mayors. Eighty to 100 mayors will gather to agree how we work as a global network of cities to tackle the challenges of climate change and migration. The great opportunity for the Labour Party is to get ahead of this movement. It puts Labour values because it opens the door to real solutions to the problems of injustice we face, it drives democracy closer to people and it challenges the existing power hierarchies. This is more than the limited devolution being rolled out presently. The confusion of sovereignty between city leaders and metro mayors; the devolution of responsibility without full financial empowerment and with many institutions such as the NHS and academy schools primarily accountable to Westminster has resulted in what Robin Hambleton referred to as the devolution deception. Labour must move beyond that and “occupy the rhetoric” as an activist friend once advised me. This move is not only an opportunity for Labour, it is a necessity. 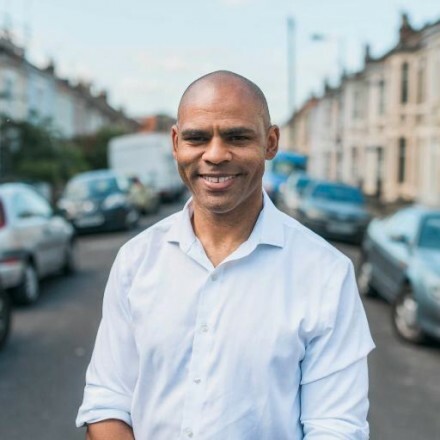 Marvin Rees is mayor of Bristol.